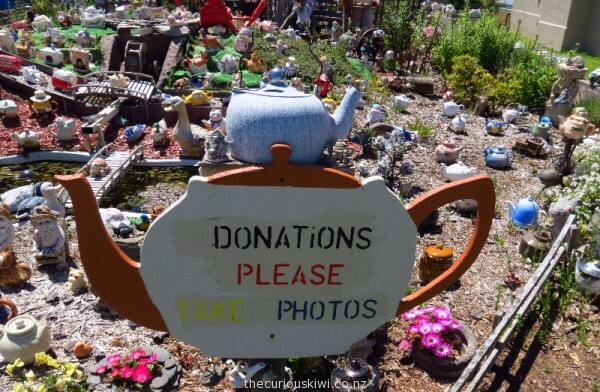 Visitors are invited to put a koha (donation) in the kettle and take photos. 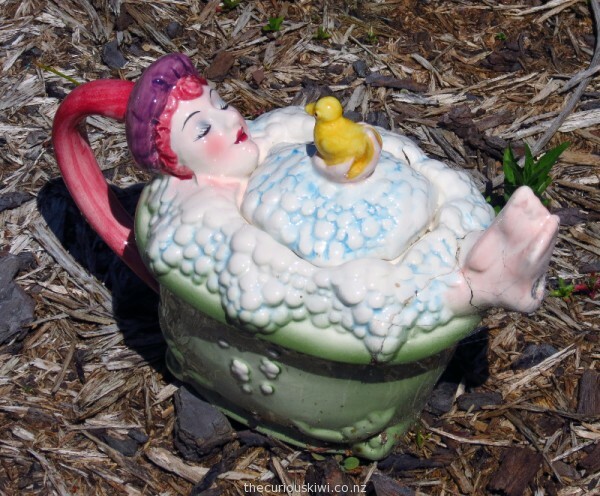 It seems like everything you can think of can be turned into a tea pot – a cow, a cabbage, a washing machine, and a woman in a bubble bath. 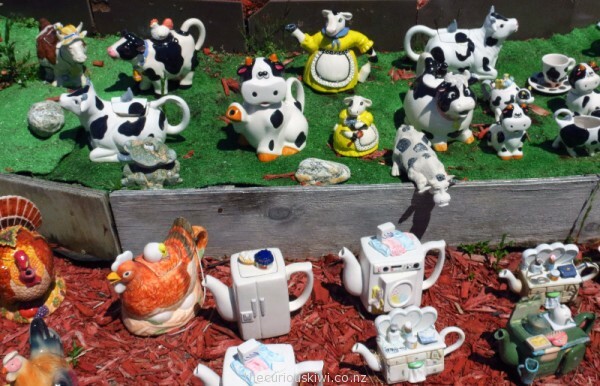 If you visit Owaka in winter it’s likely you’ll only see sturdy tea pots in the garden, the more delicate pots are packed up and put away until summer starts again. 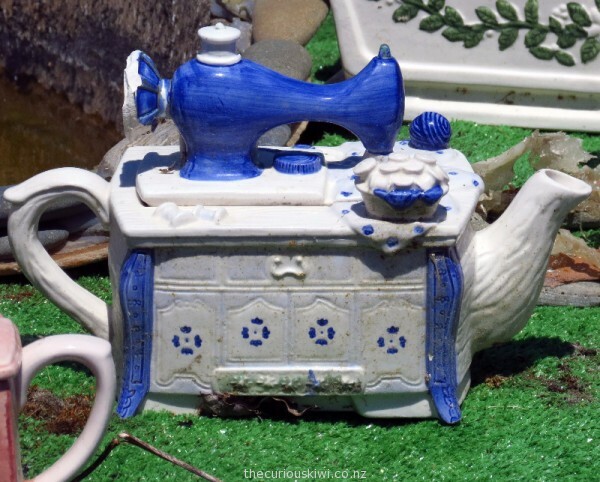 One tea pot always on display is the big tea pot letter box (it features in our In the Kitchen letter box series). PS. 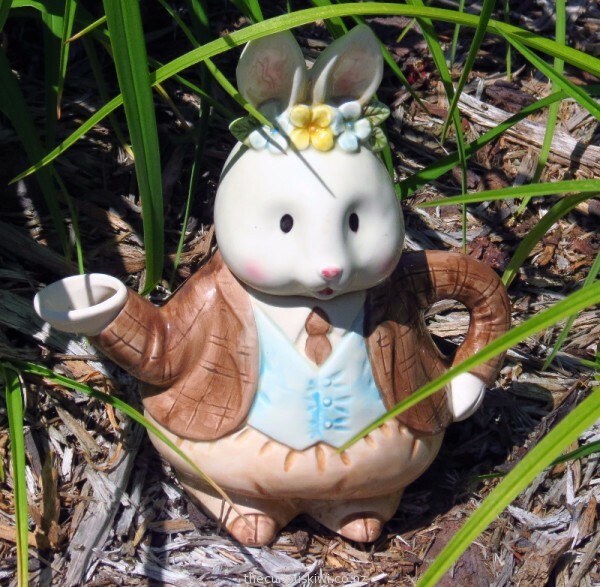 If you’re a travelling tea pot collector, take a look at potter Marion Mewburn’s wonderful creations. 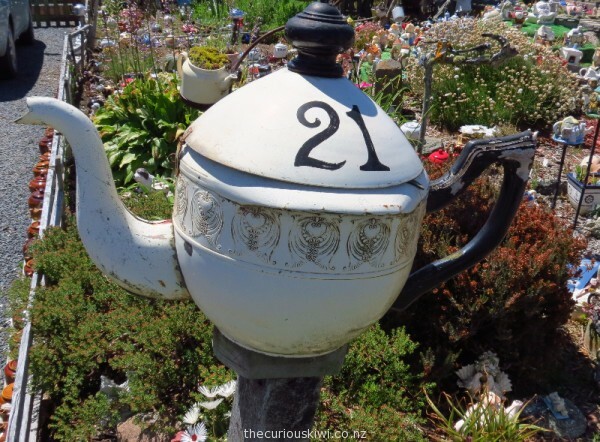 This entry was posted in Southland, Twelve Dollar Attractions, Unusual New Zealand and tagged tea pots, Teapot Land, The Catlins by thecuriouskiwi. Bookmark the permalink.